If you’re considering taking the leap to an Electronic Health Record System for your private practice or clinic, there are several decisions to consider ensuring that your patient information is transferred quickly and securely. In addition, you need to ensure that every file has all the necessary fields and information you need to improve patient care, streamline processes, and help create a seamless transition. No matter how many patients you have, there will be a transition period- that’s why it’s important to make some important decisions before green lighting your conversion to an EHR. What historical patient information should be available for patient visits during and after the transition? 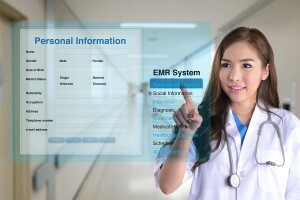 What are the best methods of converting your patient files to an EHR? What is the role of printing records, and should it be allowed during the transition? These questions will help you determine the scope of your project, the scanning services you require, and what additional services you should consider for long-term document retention. 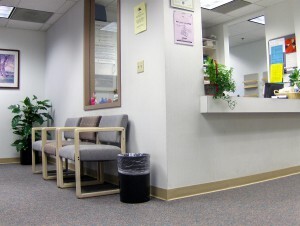 What Patient Information is Critical for My Digital Files? Out of all the items that you discuss and document with your patients, a few key elements should be considered at a bare minimum to ensure that you have accurate historical data to include with every patient file. Click here to learn about some of the other items you should consider for your EMRs. From patient records to medical billing, Record Nations will connect you with a local provider that has expertise in medical record scanning, EMRs, and more. Let us help you answer the critical questions that can make the transition to a paperless office painless. One of the most difficult decisions that a practice needs to make is how to deal with existing paper records and archival records. There are several ways that a document scanning company can help-two of the most effective ways are backfile scanning and day-forward scanning services. Backfile scanning allows you to convert your archived files in bulk- you select what files you want to convert, and our experts will take it from there. Day Forward Scanning gives you the flexibility to access paper files and transition between your old document management system to a new, more efficient, and easier to use EMR System. If your state requires you to retain hard-copy records for your patients, we also offer offsite medical record storage that allows you to store and access your files whenever you need them without having to deal with storing them somewhere in your office. Utilize Optical Character Recognition (OCR) and data extraction to ensure your records have accurate information and can be modified or edited quickly and easily. OCR gives you the ability to search and index every aspect of your files with a quick keyword search, eliminating mistakes and improving productivity. Would you like the ability to have a digital document routed to the appropriate area once it’s submitted or scanned into the system? Our local providers can add that capability to your EMR to increase efficiency and ensure all patient files and patient information is passed along either internally or externally. 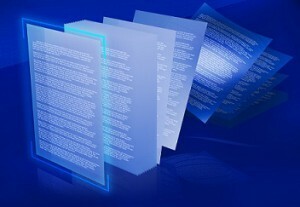 Patient files and clinical records aren’t the only thing that could be converted to a digital format- accounting files, personnel files, and critical or commonly-used forms can all be added to a document management system to help streamline your processes and eliminate all the paper in your office. As you make the transition to paperless, you’ll have the ability to eliminate costly and time-consuming paper processes. Record Nations will help you reduce operational costs, improve patient care, automate hard-copy processes, and ensure regulatory compliance with a digital electronic health management system. Let our experts help relieve you of paper files forever! Get Free, No-Hassle Quotes on Medical Record Scanning and EHR Systems Today! Record Nations can ensure that you are hiring a medical record imaging provider who will handle your project in a secure manner. From patient record conversion to helping you pick out the right EHR system for the size of your practice, we’re the experts. Our network of professional medical records scanning providers are ready and capable of handling your sensitive records. Fill out the form to the right, or give us a call at (866) 385-3706. Within minutes of receiving your request, you will have free quotes from experts in your area that can help you. If you’d like to learn more about medical records scanning, visit our articles section!